I am an agent, but not P&C. Just saw that Shelter in Missouri has added "step Down Limits" on car insurance, if you loan your car to anyone. The limit drops down to to the state mandatory coverage. Agent says Shelter pays up to state minimum requirements, then the overage is a claim against the insurance of the person u loaned it to. I asked agent if that person had mistakenly allowed their coverage to lapse, or if they only had state minimum coverage, once that is exhausted, does it come back to Shelter to pay more. They said even if u bought a million dollar policy, that the max that Shelter would pay is the state minimum. Farm Bureau has something similar to this. This opens the policyholder up to a lawsuit, when thy think they have bought sufficient coverage. Is this just in Missouri? Just these two companies? This is why people hate insurance. Finding out the fine print when it is too late. There are exceptions and lawyers will always go for money anywhere, but why would the car owner be liable for what someone else did? Yes, there are exceptions, such as I lent my car with known faulty brakes, but that isn't the norm. This is a way for people to be responsible for themselves. Why should you benefit if you let your own policy lapse but still want to drive? Several carriers have drop down limits in many states. The part I agree with you on is they do bury this in the fine print and even then, make it hard for most people to know about. I have heard for years that insurance is on the car, not the person. Also, have you seem that in a lawsuit, that everyone even remotely connected gets listed in the lawsuit. They want someone with deep pockets to go after. Consider the pharmacist Robert Courtney that diluted liquid cancer drugs to make a lot of money. He is in prison for many years, and the drug manufacturers were ordered by the courts to pay Millions of dollars. Insurance is first on the car, then the driver. The Robert Courtney case is a bit different, the manufacturer noticed a discrepancy, investigated it, concluded that everything was okay. This is the equivalent in my statement of knowing the brakes are bad and not mentioning it. Yes, lawyers cast a wide net in looking for deep pockets. Doesn't mean the net catches much. It is a hassle though, but remember, the policy owner has the insurance attorneys on his side, at least up to policy limits. Drop down limits are never ideal, but, I don't think they are the end of the world either. I'm certainly no attorney, but this would worry me. If I lend out my car to someone and he runs over a small child, I would think I could and would be sued by the family of the child. If my policy reverts to minimum limits, it makes it essentially worthless. I would assume the company would pay the $25,000 and be done with it. Maybe I'm wrong? Next Step in Auto Repair Claim? 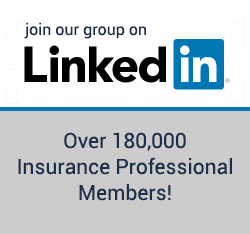 Steps to Becoming a Car Insurance Agent in CA?